By letting the world know they were in need of a defensive midfielder, it seems Paris Saint-Germain have managed to shoot themselves in the foot. 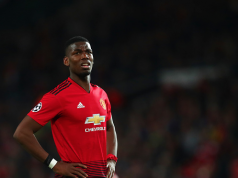 Financially limited until next summer yet somewhat desperate for a player, the French club are being held at ransom around Europe, especially by a couple of Premier League sides. Téléfoot looked at the situation on Sunday, and their information leads them to believe that Everton’s Idrissa Gueye is the ‘best placed’ to make the move to the Ligue 1 champions, but there’s still a lot of negotiating left to do. The French TV show explained the defensive midfielder was ‘basically in agreement’ with Paris Saint-Germain when it came to his contract, but the Toffees were simply asking for too much. At €45m, Everton’s supposed price tag is beyond what Thomas Tuchel’s club are prepared to spend in January (believed to be around €25m), leaving them in a bit of a sticky situation. It seems unlikely that Farhad Moshiri will sell one of Marco Silva’s star players midway through the season unless all the money is up front, allowing them to then reinvest it directly into a replacement. There’s a long time left in the transfer window, so nothing should be ruled out just yet, but it appears Everton are currently standing their ground, and it’s working.